I hope everyone is staying warm during this Arctic Blast! Here is a wonderful treat you could make while cooped up inside! As we know, desserts during wartime were almost a luxury item, since many of the ingredients used were heavily rationed. But occasionally people were able to enjoy sweet treats and feel some sense of normalcy in their lives. 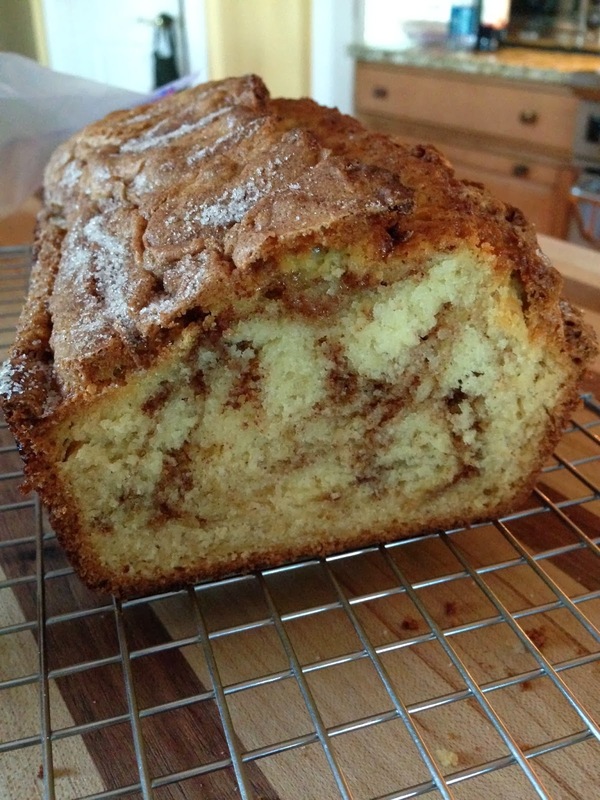 Amish Cinnamon Bread, also known as Amish Friendship Bread, is a delicious baked good that can be enjoyed during any season but is particularly desirable during the fall and winter months. It is relatively easy to make because it does not require many ingredients and there is no kneading needed! Also, if your ingredients are in short supply, the recipe is easily cut in half to make one loaf instead of two. While it is not known whether or not this particular dish was popular in the 1940s, it is known that the recipe has been around for decades. 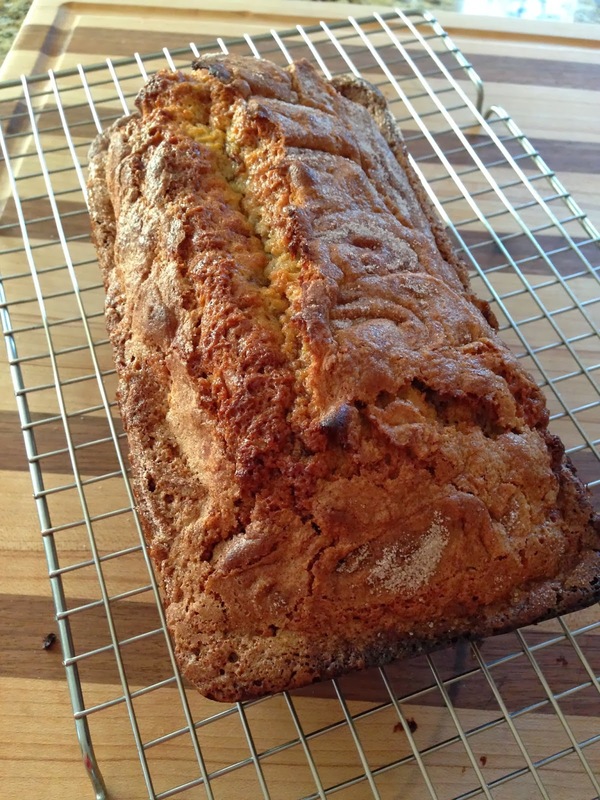 This time I decided to make only one loaf and used apple cider vinegar instead of white vinegar to make the buttermilk. I felt it would give the bread more flavor and I have to say I believe it gave it the right touch! To start, preheat the oven to 350 degrees and have a greased loaf pan ready to go. Next, cream the butter and sugar together and then add the eggs one at a time. Then add the buttermilk, flour and baking soda to the mix. In a separate bowl, mix the cinnamon and sugar together. Pour half of the batter into the loaf pan and then sprinkle half of the cinnamon sugar mix on top. Using the rest of the batter, add to pan and sprinkle the rest of the cinnamon sugar to the top. 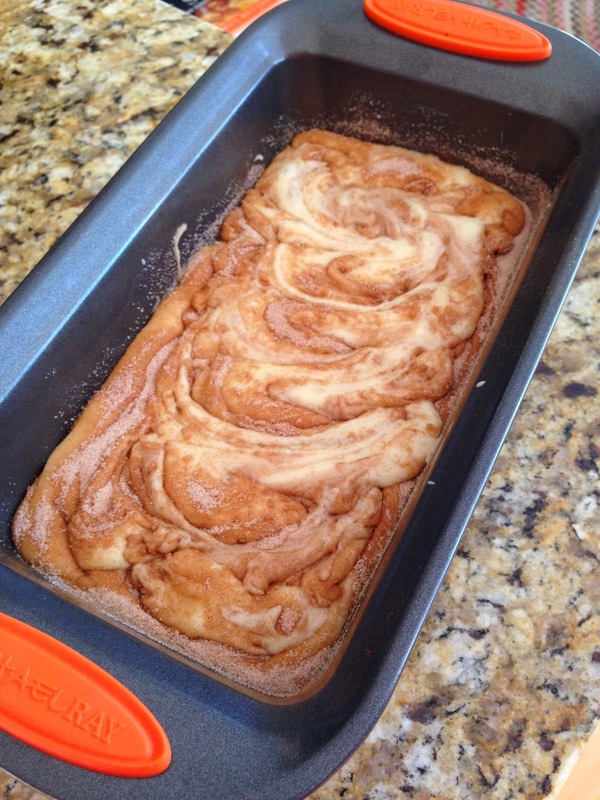 Using a butter knife, swirl the cinnamon sugar mix throughout. Bake at 350 for 45-50 minutes and check with a toothpick. Let cool in pan for 20 minutes and then remove.